The agreement about dealing with the past hammered out at Stormont House could be derailed by another Boston College tapes crisis – this time involving a leading loyalist. The latest battle for access to the Boston College tapes threatens to open up a much wider debate and discussion on the past. This oral history project recorded republicans, loyalists and, it is believed, a former RUC officer, telling their stories of the conflict years. Those stories were meant to stay untold until after they died. The book Voices From The Grave, authored by journalist Ed Moloney, brought into the public domain words spoken by former IRA leadership figure Brendan Hughes and loyalist David Ervine. Both died in their 50s. And it was the Hughes revelations, including what he said about the IRA abduction, “execution” and disappearance of Jean McConville, which were to lead to dramatic developments. These included the headline arrest of Sinn Fein president Gerry Adams last April. Adams was questioned from Wednesday April 30 through to his release on Sunday May 4; that questioning extending to an examination of IRA membership, all of which Adams denied. He described a “malicious, untruthful and sinister campaign” against him. And, all these months later, there is now a different focus. The latest Boston College news is about trying to access the tapes of loyalist Winston ‘Winkie’ Rea. He is a former prisoner, leader of the Red Hand Commando, son-in-law of the late Gusty Spence and, in the peace process years, was seen as an important figure in the ceasefire and decommissioning debates. Rea was a close friend of Ervine, a member of the UVF who became a Stormont MLA. Adams attended Ervine’s funeral in January 2007; a remarkable occasion that had the Sinn Fein president, the UVF leadership, then Chief Constable Sir Hugh Orde, Secretary of State Peter Hain and former Taoiseach Albert Reynolds under one roof. This was following the ceasefires and after the Good Friday Agreement and in a climate where the once impossible became possible. And it was in this context that some began to tell their stories of the conflict years. If the now-published Ervine example is anything to go by, then loyalists have been much less revelatory in their recordings; less accusatory. The Jean McConville case, demonstrating the worst horrors of conflict, gave a specific focus to the police investigation around the republican tapes and disclosures. But this is not the case with Rea. Loyalists, including William ‘Plum’ Smith, who was successful in a legal challenge to have his Boston tapes and transcripts returned, see this as nothing more than a fishing exercise. Three years ago, in an interview with this newspaper, he said his move to have his tapes returned was not out of concern about their content. This was a reference to the belief that contributions to the archive would remain confidential until after death. Rea also commented back then. He believed that, if the Smith test case was won, then it would have “a domino effect” for others wishing to have their material returned. But this has not been so for him. The question is why? Is it the loyalist paramilitary leadership role Rea once held in the so-called “war” years, his leadership of an organisation identified with guns, bullets, bombs and killing? Smith, also a former Red Hand Commando prisoner and a close friend of Rea, has his own thinking on the latest move. He believes that, after the Adams arrest, this is “another balancing act” – similar to when a number of loyalists were interned decades ago. And he also believes that, in the here and now, it “flies in the face of any attempt to create a truth-recovery process”. Budgets and welfare reform were the main focus of the pre-Christmas Stormont House talks. And, alongside those issues, there was a big effort to achieve a structure that would finally begin to address the many unanswered questions of the past. After Eames/Bradley and the Haass/O’Sullivan processes, this was the third attempt to achieve this. And there is now a paper agreement to build upon; an Historical Investigations Unit (HIU), an Independent Commission for Information Retrieval (ICIR), an Implementation and Reconciliation Group (IRG), with archive and acknowledgement elements. But any information-recovery process will depend on co-operation across the conflict board – governments, intelligence agencies, military, police, republicans and loyalists. But what chance of that being achieved or being achievable in the current climate? Smith answered that question when he talked about these latest investigative moves relating to the Boston project flying in the face of attempts to create a truth-recovery process. The ICIR intended to deal with this would act privately and through interlocutors reaching out into those different worlds of governments, intelligence, security and the various armed loyalist and republican groups. It is about questions and answers. But who is going to answer, even if there are guarantees that information given in this process will not have any evidential value? Rea, Smith, other loyalists and republicans thought, believed, understood, that the Boston College project was protected by confidentiality. This may have been their understanding, but it hasn’t been the reality. From the publication of the Hughes transcripts and other revelations, this project has unravelled into a legal mess and battlefield. Investigations and arrests have followed and, now, there is the news of the Rea case, which has created another bad mood within the loyalist community that this is some type of “balancing act”, or “equaliser”. And the consequences of this are that it will put people back in their trenches; into places of silence rather than talking. There may well be many unanswered questions but, in this atmosphere, there won’t be answers. And that has implications for that paper agreement made in Stormont House. What is the point of an information or truth-recovery process without significant co-operation and disclosure? Information will not flow within a process that still has the potential to lead to arrests, charges and perhaps prison for however short a time. And we know from the assessments of policing experts that investigations will deliver little in terms of jail time and justice. But investigations will block the potential to open up and open out some greater sharing of information and explanation and understanding of the conflict years. What we are watching is not just a case about one man, or one actor within the conflict period, but something that potentially has much wider implications. And, all of this tells us that the past hasn’t gone away. Something went wrong for the police, and it’s not clear where it happened. A person familiar with that hearing told me today that officials explained to the court what they had asked for, and (in vague terms) why: They asked for a subpoena of Belfast Project interviews with former Red Hand Commando leader Winston “Winkie” Rea, and they did so in response to specific information about a particular matter. So compare the threat to the delivery: 1.) We’re going to get the whole collection, every interview conducted with every interviewee, versus 2.) a narrow request that only targets a specific interviewee. Another thing made public in the Belfast court wrangling: The request for a new subpoena was sent to American authorities in a letter dated Sept. 11, 2014. So between May and September, the new police fishing expedition into the Boston College archives was narrowed from everything to a much narrower set of documents. But no paper trail or public statements explain that change at all. The publicly announced and repeatedly affirmed police intention to seek the whole Belfast Project collection seems to have been blocked, delayed, or sharply narrowed, somewhere. But where? And why? It could have happened in Northern Ireland, as other parties in government intervened against the police. It could have happened in the United States, after American officials got a request to subpoena the whole archive but refused to do it. It could have happened in an American court, though I doubt it got that far. But somewhere, somehow, someone said no to the police, and we don’t know who. The politics of that refusal, whenever the story emerges, will be important. But this is only the first of many questions about the latest Belfast Project subpoena. Again, until last week’s court hearing in Belfast, there was no publicly available evidence that new subpoenas had been served at Boston College – and yet, subpoenaed material was ready for delivery. Pretty clearly, a whole legal process was conducted in secret. Among the events not made public: The appointment of a commissioner to promulgate the subpoenas, a required step under the US-UK Mutual Legal Assistance Treaty. The issuance of a subpoena, or of subpoenas. 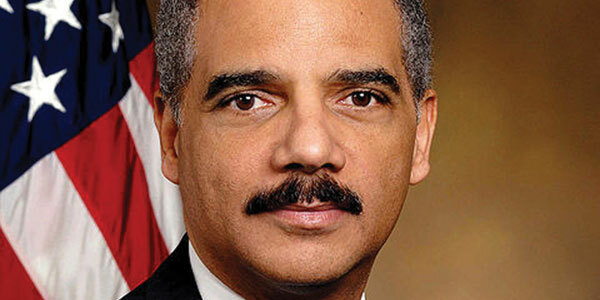 A potential court review of the scope of the subpoena and the subpoenaed material. And the delivery of the subpoenaed material to the U.S. Attorney’s Office. Note what the story doesn’t say: Why did Boston College agree to that request? 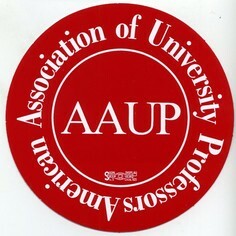 And what else has the university agreed to keep confidential merely because federal prosecutors asked them to? Several other questions follow. Boston College agreed last year to return interviews to interviewees, and began to do so. Is the university still returning interviews, or have they stopped? Are there still interviewees who are asking to have their interviews returned, and what position does Boston College take on further returns? Richard O’Rawe got his interviews back; Winston Rea didn’t. Why? Finally, Ivor Bell – reputedly a former IRA member, and alleged by the PSNI to have aided and abetted in the murder of Jean McConville – is being prosecuted in Northern Ireland. But his prosecution is going slowly and poorly, because the Belfast Project tapes alleged to contain his interviews can’t be connected to him. Boston College lost its collection contracts for at least some Belfast Project interviewees, and never received an identification key to the coded tapes in its possession. So if the PSNI can’t connect Ivor Bell’s supposed Belfast Project interviews to Ivor Bell, does anyone actually know that the tapes now waiting for the PSNI at the U.S. Attorney’s Office in Boston can be proven to contain interviews with Winston Rea? Does Boston College have a signed collection contract with Rea? And what role, if any, does the missing interviewee identity key have in narrowing the PSNI’s latest fishing expedition? It’s clear that significant developments have taken place with regard to the Belfast Project materials archived by Boston College. It seems that Boston College and the U.S. Attorney’s Office in Boston have developed a cooperative relationship rather than an adversarial one, as BC works to keep the DOJ’s secret subpoenas hidden. It’s apparent that a federal court in Boston has been engaged in secret procedural efforts, in a significant matter hidden from public view. And it’s inescapable that we have a long, long way to go in any effort to understand what has been happening since last May. Last Friday, a former loyalist prisoner of Northern Ireland, Winston Rea, secured a temporary injunction on the release of interviews he gave as part of Boston College’s oral history project, the Belfast Project, according to a report in The Irish Times. It was determined after a hearing in Belfast that no release will take place before Thursday, when the case will be revisited, said the report. 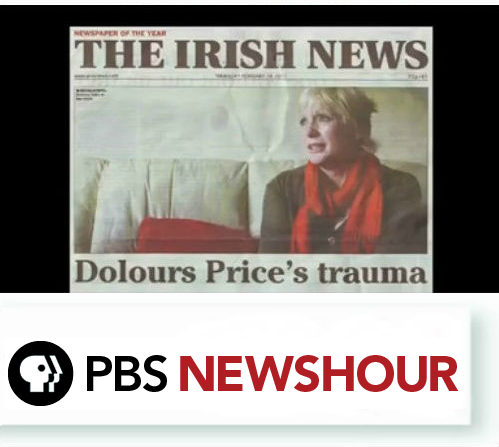 The series of interviews, which ran from 2001 to 2006 and was directed by Burns Library, were meant to record the experiences of the people involved in “the Troubles,” a period of violent turmoil and revolution in Northern Ireland that started in the 1960s. The political strife ended in 1998, with the Good Friday Agreement. The interviews conducted by Burns Library, which was then under the leadership of Robert O’Neill, were held under the condition that the materials would not be released until the death of the participants unless they gave consent. 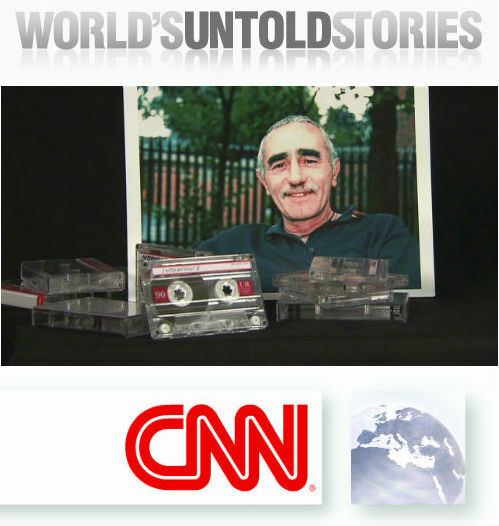 Tapes from the project, which was directed by Irish journalist Ed Moloney, were subpoenaed for the first time in May 2011 by the U.S. federal government on behalf of the United Kingdom as part of the ongoing investigation by the Police Service of Northern Ireland (PSNI) into the 1972 abduction and murder of Jean McConville. They were subpoenaed a second time and ordered to released all interviews in the archive that were relevant to the murder case. On Dec. 27, 2011, BC was ordered to release the interviews of former Irish Republican Army (IRA) members Dolours Price and Brendan Hughes, both of whom are now deceased, in spite the University’s efforts to suppress the Department of Justice’s subpoena. In May 2013, the U.S. Court of Appeals for the First Circuit decided that the district court had “abused its discretion” in its subpoena of the Belfast Project interviews. The court ruled that just 11 of the 85 interviews originally ordered to be released were relevant to the investigation of the McConville murder, according to the Boston Globe. The lawyers representing the loyalist prisoner, Winston Rea, requested that Rea’s interviews not be released upon learning the members of the PSNI were planning to fly into Boston last weekend to gather the Belfast Project materials. The PSNI has not yet said why it wants this material, according to a report by The Irish Times. The U.S. Attorney’s Office has asked that the matter remain confidential throughout the duration of the proceedings, according to University spokesman Jack Dunn. Rea claims that the subpoena is unlawful and that it does not specify why the material is needed, according to The Irish Times. 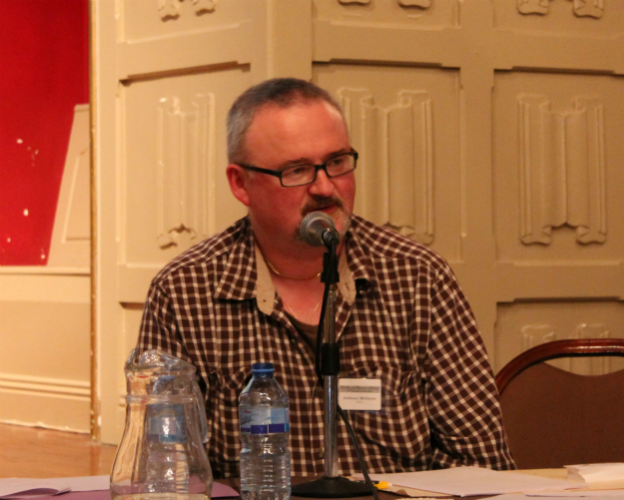 Moloney, formerly the director of the Belfast Project, has covered “the Troubles” in Northern Ireland for much of his professional life. In his blog, The Broken Elbow, he argues that the work of the PSNI to obtain the interviews of Rea is so to show that they are even-handed and not solely focusing efforts on the IRA. If the PSNI is successful, everyone who participated in the Belfast Project could see their interviews released, he wrote. Authorities in Northern Ireland have asked the U.S. government to subpoena new materials from the Belfast Project collection at Boston College, and at least one new subpoena has been served and executed. Late last week, a court in Belfast issued a preliminary injunction forbidding the Police Service of Northern Ireland and the Public Prosecution Service from traveling to the U.S. to collect the newly subpoenaed material from the U.S. Attorney’s Office in Boston. The details of that Sept. 11 request are not available, and a spokesman told me last week that the U.S. Department of Justice “is not confirming or commenting on this.” But the British court document gives us the first clear public evidence that the PSNI has gone back to Boston for more material from the Boston College archives. With this new subpoena (or subpoenas) the legal and political action has all happened in the dark, right up to the final moments. There’s no publicly available paper trail to show us what happened, but it appears that Boston College and the DOJ worked together to keep news of the new subpoena from becoming public. The secrecy extended to the campus: I asked BC faculty last week if the university had informed faculty of the new subpoenas, and the few professors who responded said they had not been told. The injunction in Belfast was issued at the request of Winston “Winkie” Rea, the former commander of a Loyalist paramilitary organization. Several newspapers in Ireland and the UK have reported that the PSNI has returned to the Boston College archives, though the scope of the new fishing expedition remains unclear. I’m told by a person with knowledge of that latest developments that this story in the Guardian, claiming that “dozens of IRA and loyalist paramilitary veterans are facing arrest,” is exaggerated, and the authorities do not appear to have obtained the full collection. Boston College, as usual, didn’t respond to several requests for comment on the latest developments.